At MarketInvoice, our vision is for entrepreneurs to have the time to build the world we all want to live in. That’s why we’re making it quick and easy to get funding through our invoice finance and business loans. So entrepreneurs can get on with growing their business, instead of having to worry about cash flow. We’re here to unlock the endless possibilities that arise when entrepreneurs have time to focus on what they love. With our smart online platform, we were a Fintech before that was even a thing. But it’s not just about the tech. One of our biggest assets is our team of bright, talented and motivated people from all over the world. It’s one of the things our customers rave about on TrustPilot and one of the best things about working here. Investors on our platform include high net worth individuals, institutional investors and government authorities including the British Business Bank. This partnership has now seen £160m funded to more than 1,200 businesses in the UK. Whilst working in financial services in his early twenties and spending time with many company CFOs, Anil realised how difficult it was for small businesses to raise the funding they needed to drive their business forward. His ambition was to use technology and data to completely reinvent how businesses go about financing their growth, and breathe fresh life into outdated financial products. Anil co-founded the business in 2011 and has led the growth of the company, team and its culture since launch. Having spent three years working within one of the world’s largest legacy financial institutions, Ilya was exposed to the outdated service banks were providing to private businesses. He realised that business owners felt let down by their bank, and set out to build a better alternative. He also represents MarketInvoice in its efforts to promote transparency and fairness within the alternative finance industry, sitting on multiple compliance and regulatory bodies including the P2PFA. Giles Andrews OBE was appointed as chairman of the board of directors of MarketInvoice in March 2017. 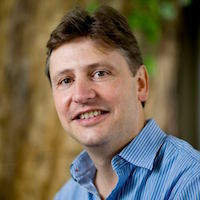 Giles is the chairman of Zopa, the world’s first peer-to-peer lending platform, a business he co-founded in 2004 and led as CEO from 2007 to 2015. 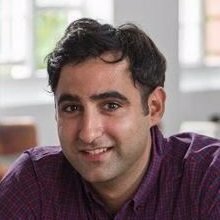 He is also chairman of Bethnal Green Ventures, the accelerator for start-ups using technology to tackle big social or environmental problems. "Every entrepreneur has a plan that they want to make happen - we’re here to help with that. We partner with businesses, creating solutions through technology to help them grow." Barclays has been working with entrepreneurs, business owners and executives for 328 years, providing valuable sector expertise as well as local, national and global knowledge. Through Barclays, UK businesses have access to a network of relationship managers, digital and mobile services, unique data insights and the latest technical developments in digital payments as well as cyber security to help protect customers from fraud. In August 2018, Barclays Bank UK PLC committed to a stake in MarketInvoice to give Barclays business customers seamless access to innovative forms of invoice finance. Santander InnoVentures is Santander’s $200 million Fintech venture fund. It is tasked to find and qualify prospective Fintech businesses that will help Santander innovate with a purpose - either to transform the bank or serve customers better. As an active investor, Santander InnoVentures provides capital, scale and expertise to help ambitious founders build and grow their Fintech business internationally. Since launching in 2014, the fund has invested in 22 portfolio companies and has been named as the most active bank-backed Fintech corporate venture in the world by CB Insights. 70% of the fund’s portfolio companies are now in strategic engagements with Santander Group. Northzone is a technology investment fund. The partnership has to date raised seven funds and invested in over 100 technology-enabled companies. Their current portfolio includes companies such as Spotify, Avito.ru, Trustpilot, WideSpace and SpaceApe. The company has offices in London, Stockholm, Oslo, Copenhagen and New York. For further information, visit www.northzone.com. Northzone also renewed their commitment and participated in our 2016 fundraise. Paul Forster co-founded Indeed.com in 2004 and led the company as CEO through rapid growth to a successful exit. Indeed is a giant of the online job search market and was acquired in 2012 by Recruit Co – one of the world’s largest HR services companies. Under Paul’s leadership Indeed.com grew from start-up to market leader, with over 1,000 employees and 140 million monthly unique users today. MCI Capital is a multistage private equity group based in Warsaw, Poland. With 17 years of expertise of investments in digital economy companies, MCI has realized over 60 investments and 30 exits. MCI Funds’ are active in Western Europe, UK, Scandinavia, CEE and Turkey. The current portfolio of MCI.TechVentures Fund – a growth technology fund – includes companies such as iZettle, Azimo, Gett, and Windeln. Viola Credit is Israel’s leading private credit fund offering multi-strategy credit products to growing companies. The fund provides cutting-edge, custom credit solutions to technology-focused companies. Since 2000, Viola Credit has successfully completed over 125 transactions and committed over $900 million. The fund has backed some of the leading alternative-lending companies such as Behalf, Lendbuzz, Pagaya, and Obligo. Viola Credit is part of Viola Group, Israel’s leading technology oriented investment group with over $3B assets under management.